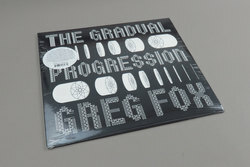 Greg Fox - The Gradual Progression. Vinyl LP, CD. Bleep. Interesting jazz tinged new age compositions on RVNG here from percussion master Greg Fox. Previously playing with Guardian Alien and Ex Eye amongst others, Fox has been on the experimental music circuit for a few years now. 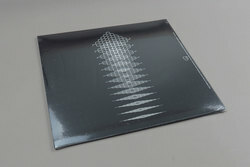 His first solo vinyl release, The Gradual Possession collects seven rhythmically led cosmic jams. The influence of Don Cherry and Pharoah Sanders are obviously at play, but Fox opts for a slightly spacier approach. Freaky space funk oddity ‘Catching an L’ sounds like Sun Ra after binging on boom bap. Definitely worth a look!